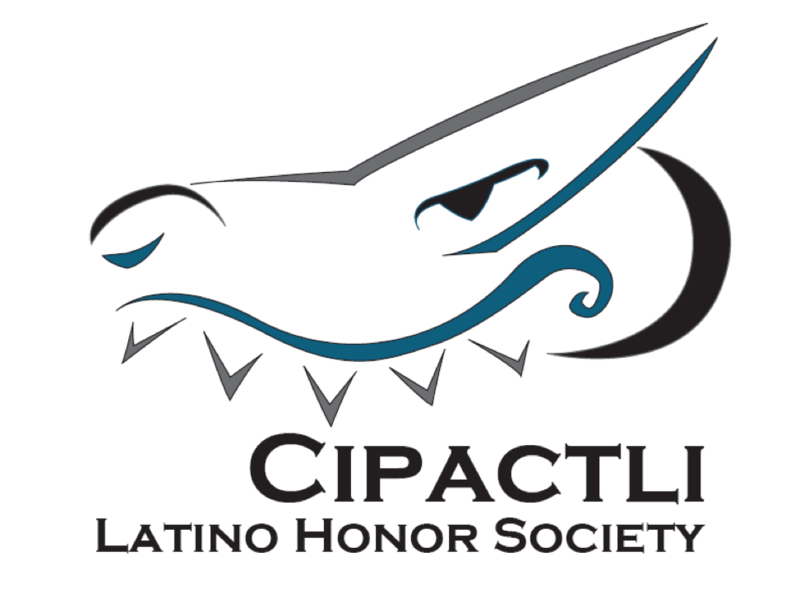 The name of the Society shall be The Cipactli Latinx Honor Society, hereinafter referred to as “the Society” or “Cipactli.” Cipactli is affiliated with La Casa Latina: Center for Hispanic Excellence at the University of Pennsylvania, the Latinx Coalition, and with the University of Pennsylvania proper. The mission and purpose of the Cipactli Latinx Honor Society is to recognize and honor individual academic achievement, valued leadership, and distinguished service to and beyond the Latinx community. Membership in the Society shall be open to qualified juniors and seniors at the University of Pennsylvania who are actively engaged in leadership and service to and beyond the Latinx community at the University while maintaining a high level of academic achievement. Honorary membership may be offered to alumni, faculty and staff members of the University of Pennsylvania in recognition of distinguished service to and beyond the Latinx community at the University. Official membership entails voting privileges at all official meetings of the general membership, bestowal of graduation cords and membership pins, and continuation of honorary membership after graduation. The Board of the Society shall consist of the five present officers of the Society. The Chair of the Society shall also serve as Chair of the Board. In the absence of the Chair, the Vice Chair may serve as acting Chair. Officers of the Society shall be Tlaloc (Chair); Ometecuhtli (Vice Chair); Tezcatlipoca (Chair of Internal Operations); Quetzalcoatl (Chair of Development and Recruitment); and Paynal (Chair of Community Service). Each office shall last for one year from the time of the Spring Elections, at which time all positions must be re-appointed. All officers retain their voting privileges at meetings of the general membership, except the acting Chair, who only votes in the case of a tie. The Chair shall act as an impartial facilitator. The current Director of La Casa Latina: Center for Hispanic Excellence at the University will serve as the Advisor to the Board of the Society but does not hold a vote in deliberations of either the Board or the Society. The Board of the Society shall be responsible for meeting with the Society’s advisor at least once during their term. The Board shall organize monthly meetings of the general membership every semester at their discretion, in accordance with the Bylaws of the Society. Additional official meetings may be called as determined by the Board provided that notice of such meetings is given at least two weeks prior. Quorum for official meetings shall be 2/3 of the membership. Unofficial meetings may be called as determined by the membership, and require no quorum. The Constitution of the Society and its provisions shall be carried out according to the current Bylaws of the Society. The articles of this Constitution may be amended at any official meeting by a 2/3 majority vote provided that notice of such a proposed change was given to the membership at least one week prior to an official meeting. The articles of the Bylaws to this Constitution may be amended at any official meeting by a simple majority vote of the members present provided that notice of such proposed change was given to the membership at least one week prior to an official meeting. Application for general membership will be open to all juniors and first-semester seniors who have demonstrated leadership and service to and beyond the Latinx community while maintaining high academic performance. Students can apply during any of the application cycles beginning their junior fall semester until their senior fall semester. Membership is official only after payment of the required dues. Members that are unable to pay the dues immediately because of financial difficulties should express their concern in writing to the Chair and Chair of Internal Operations, who shall decide on an appropriate payment plan. Qualification for membership is contingent on the applicant’s status as a student in good-standing enrolled at the University of Pennsylvania. Members may nominate alumni, faculty and staff members of the University of Pennsylvania for honorary membership. Honorary membership is held in perpetuity without the responsibility of any dues and without any voting privileges. Alumni who have continued to actively contribute to and beyond the Latinx community at Penn are eligible for nomination by any current member. Faculty and staff of the University of Pennsylvania who have gone above and beyond the call of duty on behalf of minority students are eligible for nomination by any current member. One letters of recommendation from a peer at the University who is not a member of the Society. Letters of recommendation for general membership applications cannot be written by the current Director of La Casa Latina: Center for Hispanic Excellence at the University of Pennsylvania. All applicants for general membership to the Society must also complete an interview with at least three members of the Society, at least one of which shall be a current Board member. Interviews shall follow the procedural guidelines as delineated in Section C.
After conducting the interview, the interviewers must score the applicant holistically based upon careful review of the written application and impressions collected from the interview. Interviewers shall determine their scores following the procedural guidelines as delineated in Section D.
According to Society member and applicant availabilities, the Chair of Development and Recruitment will match active Society members to eligible applicants. Pairs of Society members will conduct 30-minute interviews for each assigned applicant. A Board member will be present (whenever possible) to preside over the interview. Society members and applicants will follow business casual dress code. Questions featured on the Interview Assessment form shall be voted upon at the GBM prior to the designated interview period. Both interviewers will serve as primary scorers of the candidate. Scorers will read each application thoroughly. Scorers will complete the Application Scoring form after conducting the interview and submit it to the Chair of Development and Recruitment by the pre-determined due date. Each scorer will score the application independently. If both readers score an application with a maximum of a two-point difference, the scoring of that application is closed. The Chair of Development and Recruitment will then take the average of the two scores and enter that as the applicant’s score. If the Chair of Development and Recruitment notes that the two scores assigned to an application differ by more than two points, he or she will submit the application to a third reader. The third reader will score the application independently and submit the Application Scoring form to the Chair of Development and Recruitment. The Chair of Development and Recruitment will then take the average of the two highest scores and enter that as the applicant’s score. If an application is assigned a score of zero on any one of the evaluative criteria by both readers, then the application is considered disqualified. If an application is assigned a score of zero on any one of the evaluative criteria by one of the readers, the Chair of Development of Recruitment will submit the application to a third reader. If the third reader assigns a score of zero on any one of the evaluative criteria, the application is considered disqualified. If the third reader does not assign a score of zero on any of the evaluative criteria, the Chair of Development and Recruitment will average the two highest scores and enter that as the applicant’s score. A score of 2 is awarded for general Board positions. An official meeting of the Society shall be called to determine which candidates will receive membership. Applications shall be made available to the Society at least one day before the start of the designated interview period. The acting Chair shall determine when to hold an open discussion to establish ground rules for deliberations. The acting Chair shall also determine when to open and close debate on each candidate’s application. Candidates shall be split up into three hierarchical tiers based on their application score. The order of consideration for these three hierarchical tiers shall be determined during the discussion of ground rules before the beginning of deliberations. There shall be three periods of voting, one after each hierarchical tier. Voting occurs after deliberation is completed for all applicants of a tier. Voting members of the Society may move to modify the process of voting during the discussion of ground rules before the beginning of deliberations. If the Chair recognizes a general consensus, then the Society will move forward with the agreed-upon procedure. Honorary membership shall be bestowed upon accepted honorary members at the Latinx Community Banquet held each Spring. The Board shall determine the process through which new honorary members are selected. Induction of new members shall occur once per semester. Upon induction, all new members shall be entrusted with copies of the Society’s Constitution and the Society’s oath. Additionally, all new members shall choose a name to be used within the Society, and inscribe it in the book of names held by the Chair. Official announcement of all inducted members will be made at the annual Latinx Community Banquet. After new members are inducted, they shall continue to hold their general membership until graduation unless otherwise removed. Upon graduation, general members become honorary members of the Society and all rights and duties of honorary membership immediately apply. Membership may only be revoked by a unanimous vote of present members at an official meeting. Always formally notify a board member if you will miss a mandatory event of a semester. If you do not notify a board member, the board will follow up on your absence. After the 3rd absence of a semester, Chair and Vice Chair will schedule a meeting with you. After the 4th absence of a semester, you must plead your case to Cipactli and explain why you still want to be a member. If you win the vote but miss a 5th mandatory event of a semester, you are no longer a member of Cipactli. The Board shall apply the System of Faulty Attendance on a case-by-case basis and apply a reasonable sense of understanding to the enforcement of this system. All membership may be reviewed and removed under the same conditions for gross violations of the mission of the Society. Any member who is charged with a violation of the University’s Honor Code will also go before the Society at the next official meeting and have their case reviewed to determine appropriate courses of action regarding their membership status. The Society shall require its official members to participate in two community service events per academic semester. These two events must be a minimum of one hour of service, include at least two Cipactli members, and be approved and verified by the Chair of Community Service. If a Member does not complete this requirement by the end of the Fall academic semester, they will be notified by the Chair and the Community Service Chair. Should there be an excusable reason for the infraction, the Member will have the option to complete the requirement during the Spring semester. Members must fulfill this requirement to continue being part of the Society. Shall represent the Society to all media, as well as other groups and societies. Responsible for ordering apparel, pins, honor cords, etc. Shall coordinate efforts for a large Cipactli-led community service event once every semester to be announced at the beginning of the semester which may fulfill one of the community service requirements. Officers of the Society shall be appointed by a simple majority vote of members present at the Spring semester’s official meeting for elections. Only members who are rising seniors that were inducted as first-semester Juniors are eligible for the position of Chair. All returning members are eligible to apply for the positions of Vice Chair, Chair of Development and Recruitment, Chair of Internal Operations, and Chair of Community Service. Officer candidates shall be asked to step out of the room during deliberation and voting on the position to which they are running. Officers may be removed from their positions following the procedure for removal, but remain members of the Society unless further prosecuted for removal of membership. Charges as to negligence of positions must be distributed to the entire membership at least one week prior to the official meeting at which removal is to occur. Removal requires a 2/3 majority vote of the entire general membership. Officers may only be removed at official meetings of the Society. The officer under consideration for removal shall be asked to present his/her case against the charges made, and shall be asked to step out during deliberations and voting. In the event that the officer under consideration for removal is the Chair, the Vice-Chair shall act as Chair during the procedure of deliberation and voting. All regular official meetings shall be scheduled and approved by the Board, who shall immediately notify the general membership, at the beginning of each semester. Shall not be counted as absences for any member. A proposal for amending the Constitution and Bylaws of the Society may be written and brought to the table by any of the members of the Society, General and Honorary. Proposed amendments to the Constitution may be brought to a vote by the Society’s membership only at regular official meetings. Proposed amendments to the Constitution shall be distributed to the entire membership at least one week before a meeting, and shall be ratified only by a two-thirds majority of the entire membership. Proposed amendments to the Bylaws of the Constitution shall be distributed to the entire membership at least one week before a meeting, and shall be ratified by a simple majority of votes cast. Proposed amendments not distributed one week before a vote shall be ratified only by a unanimous vote of attending members. Proposed amendments shall be ratified by a simple majority of the entire membership of the society. Proposed amendments not already ratified may be tabled indefinitely. Amendments proposed but not voted upon at a previous meeting of the Society may be tabled by a vote of the simple majority of attending members. Amendments that are not voted on or tabled by the end of an official meeting are considered dead and must be proposed again before bringing to a vote. Amendments may not grandfather in conditions upon previous membership. All officers of the Board hold votes during official meetings, except the acting Chair, who votes only in the case of a tie. Votes shall be held whenever deemed necessary by the acting Chair, who votes only in the case of a tie. Voting of the Board may not be conducted without the presence of the Chair or Vice-Chair and three other officers. The Board shall vote on all issues of scheduling and activities of the general membership, but shall refrain from voting on procedural issues, which remain under the power of the general membership.